Here are some notable photos of food I have harvested from the balcony garden back in my college days. 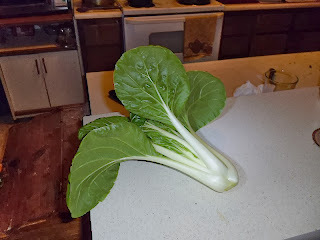 5/13/14: Pulled up the remaining cabbage and green onions. 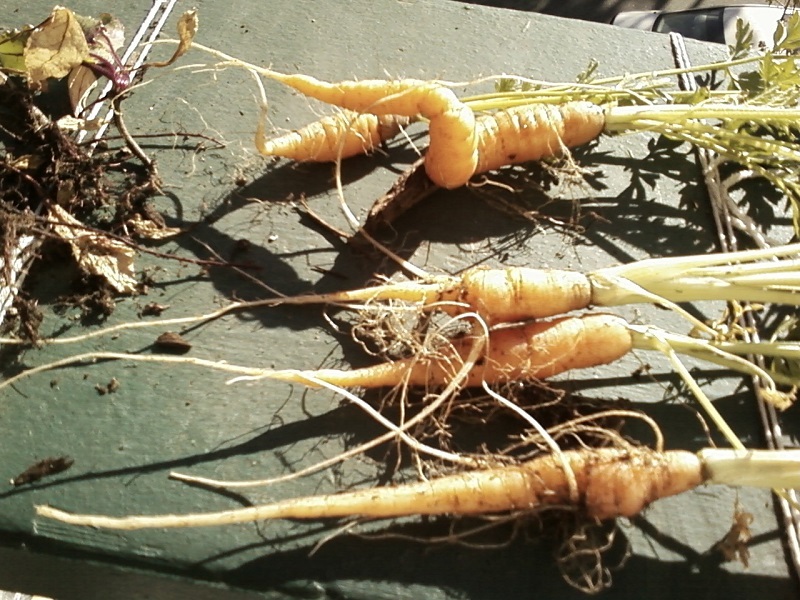 5/10/14: Thinned out the carrots today. Had to get a photo of they are coming along. 5/10/14: Size comparison of the carrot harvested today. 4/6/14: Kale plant was going to seed. 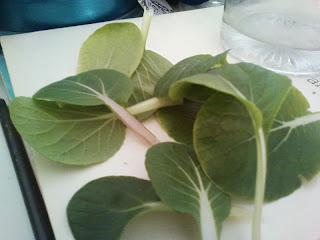 Cut some leaves of kale and Swiss Chard to make some chips. 4/6/14: Chips made from kale and Swiss Chard from harvested leaves. 3/8/14: The winter season is coming to an end, and all my lettuce was bolting. I harvested 3 heads worth. 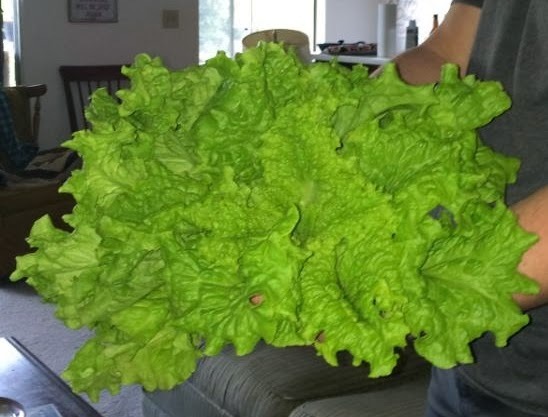 1/19/14: Harvest a good amount of red and green leaf lettuce. 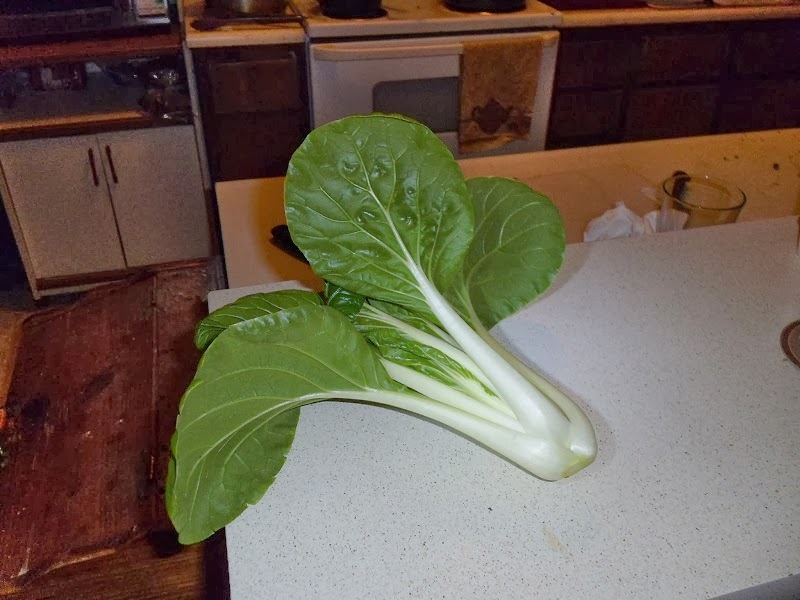 1/3/14: I harvested the head of cabbage from the plant I'd been growing in the 4 gallon container. It weighed 0.6 lbs and was the size of a baseball. 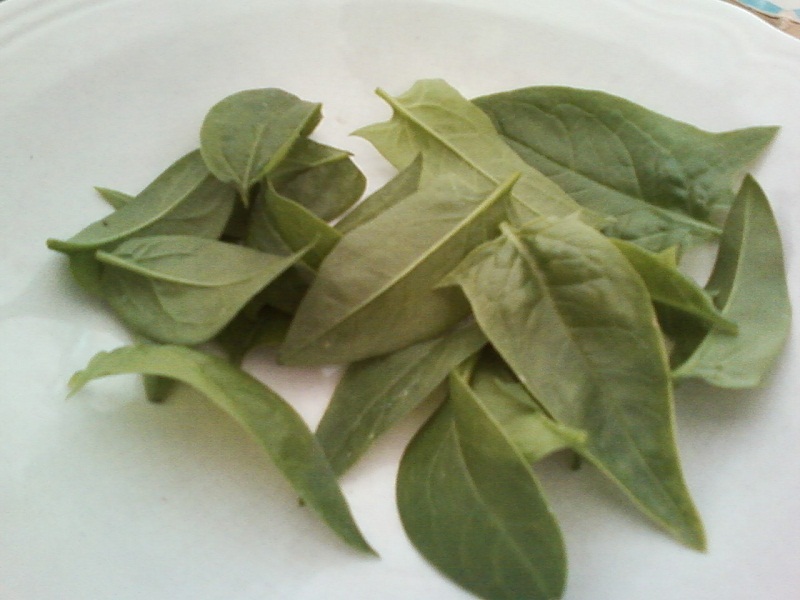 1/2/14: I come back to my apartment and find that my spinach plant is out of control. 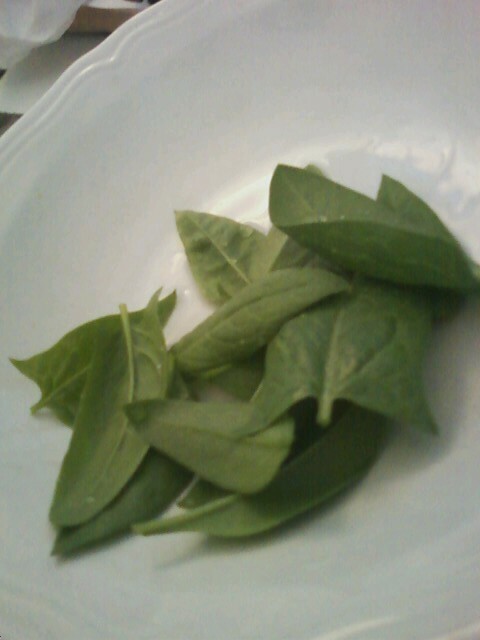 It has bolted all over the place and looks like a basil. Despite this, the leaves were still tasty, so I decided to harvest a bunch. 12/4/13: The freeze was forecasted to come tonight. I picked everything from the hydroponic garden and emptied the bin. 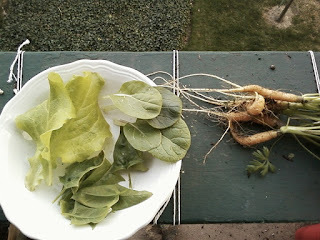 The harvest included 4 baby bok choy and several lettuce plants. 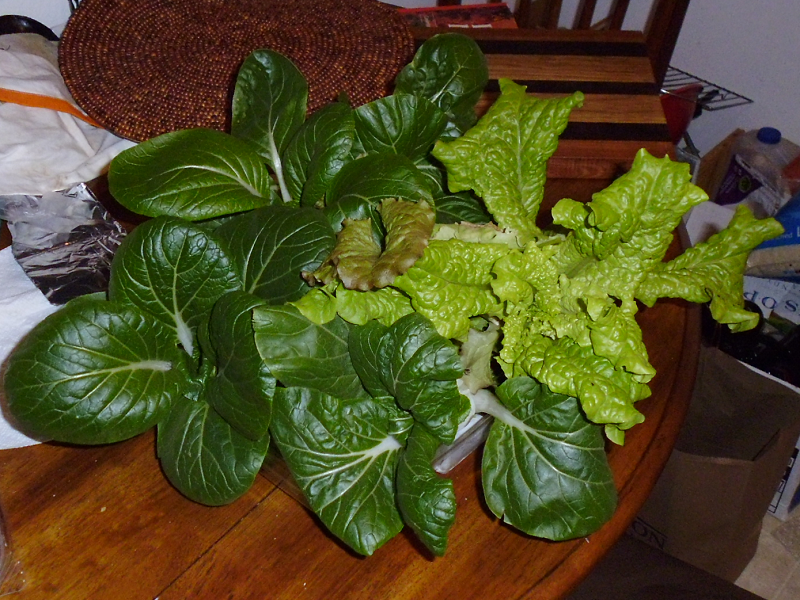 11/26/13: A nice helping of lettuce from DWC system. 9/21/13: Back from vacation and a plate of cherry tomatoes waited for me. 9/5/13: A cornucopia of veggies: Chard, tomatoes, and peppers. 7/22/13: Tomatoes in the morning. 7/22/13: Marigold seeds in the afternoon. 7/22/13: Swiss Chard at night. 7/14/13: The last of the lemon cucumbers. Also some Serranos, tomatoes, and an Anaheim chili. 6/27/13: Swiss Chard, beans, 3 Serrano peppers, and a strawberry. A total of 7 Serrano harvested from that one plant so far. 6/21/13: First 2 Serrano peppers. I used them to flavor some ravioli and pasta sauce. 6/6/13: A good deal of beans of multiple varieties. 6/2/13: Harvested first cucumber from my hydroponic garden. Weighed 0.21 lbs and was about 5 inches long. 5/21/13: An assortment of Swiss Chard, beans, a strawberry, and a zucchini flower. 5/20/13: A nice little head of Romaine Lettuce from my hydroponic garden. 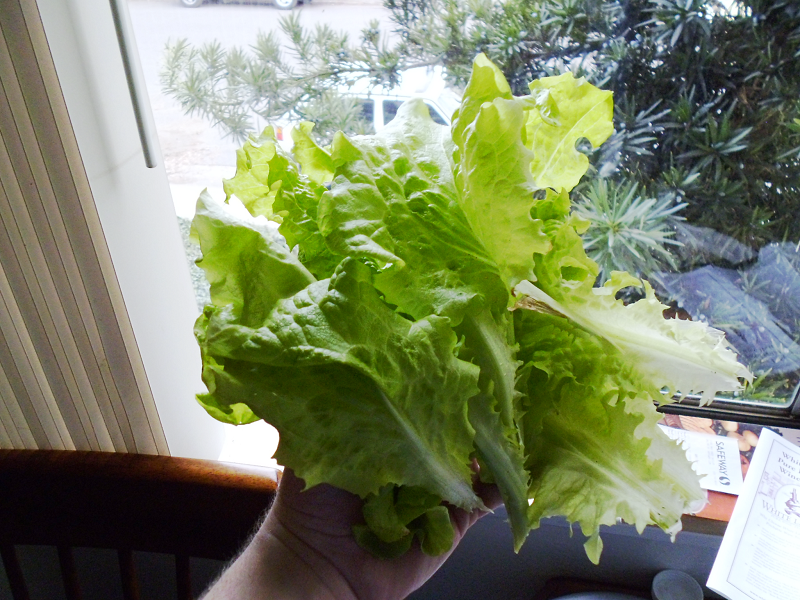 5/2/13: Haven't updated this page much, but I had a large harvest of lettuce today. 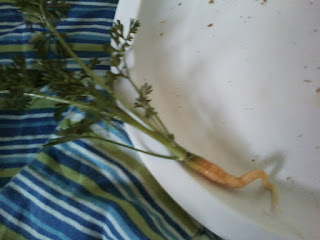 3/31/13: A decent sized carrot (my last one). 3/23/13: I pulled up the rest of the carrots to make room for my spring plants. 3/7/13: Harvested quite a variety of items. 5 carrots(weird looking), some spinach, a few leaves of bok choy, a pea pod (I have harvested a few of those this week already), and 2 leaves of lettuce. 2/24/13: Pulled up a carrot to see if they were ready. They aren't. 2/23/13: A smaller harvest of spinach. I think I will be removing the plants soon. 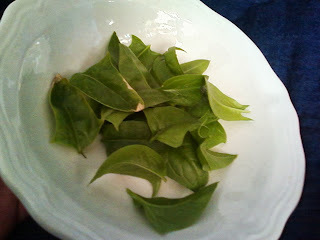 2/16/13: Spinach is starting to run out. 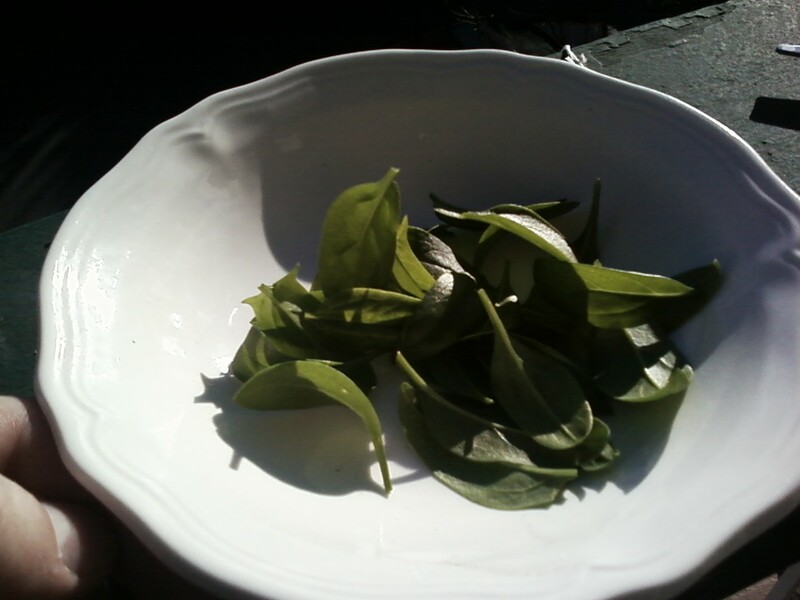 2/9/13: The weekly Spinach harvest (20 leaves).